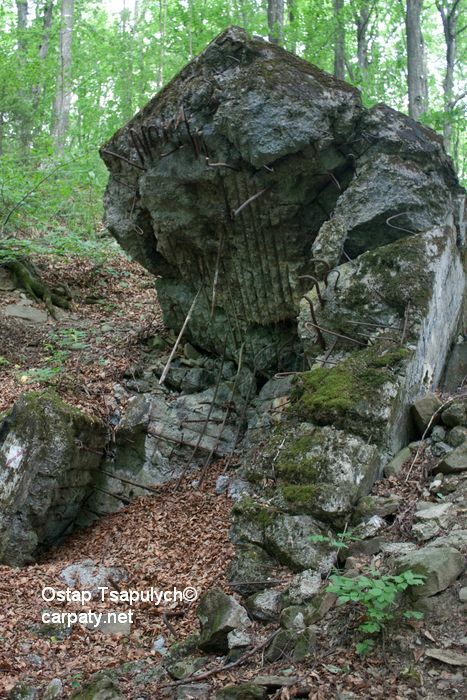 Defence fortification system “Arpad line” was built during Hungarian occupation of Easter Carpathians in 1943-1944’s to withstand the advancing Red Army. The end points of this line were Dukla Pass in the West and Yablunetsky Mountain Pass in the East, so the line stretched for almost 600 kilometres. The Arpad line was not continuous, and consisted of separate defence units. The strongpoints were scattered over the Carpathian Mountain Ridge as well as in Transcarpathian Lowland. Open firing points, trenches, and antitank obstacles were all part of fortification system. While constructing the strongpoints, the Hungarian military engineers did their best to maximize the advantages of mountain relief. For instance, one of the strongpoints was installed in the narrowing of the Uzh River, thus it could completely block the traffic in Uzh Valley. A powerful strongpoint was equipped in the Zhornavski Tract. 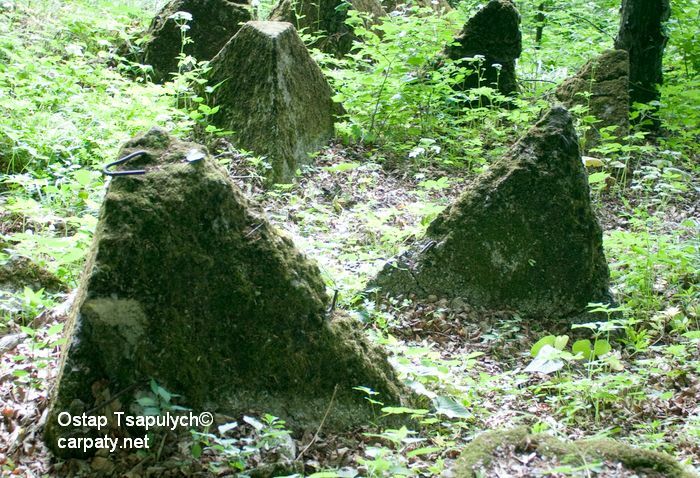 On the slope of the mountain nine ferroconcrete structures were constructed, including machine gun points, artillery positions, shelters for soldiers, warehouses. The iron gate blocked the road, the river was barred with ferroconcrete pyramids and obstacles made from rails. Railway was also blocked by special barricades. Some walls and ceilings of long-term defence points are up to 1,5 meters thick. 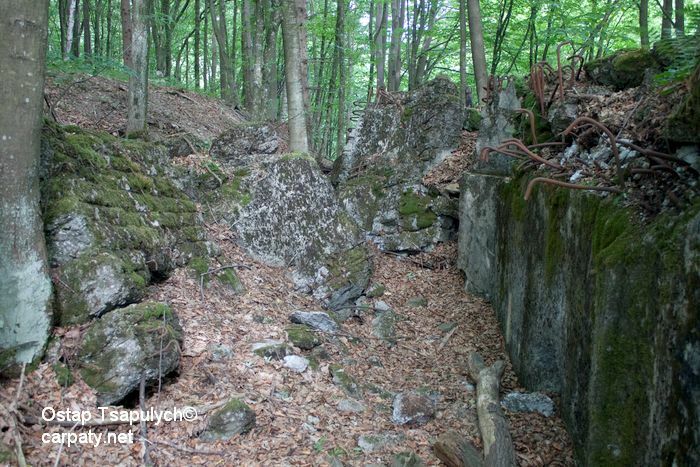 Mountain slope is covered with a network of trenches and open firing points. Warfare never reached these fortifications. During the post-war years they were damaged by the Soviet troopers. Nowadays the ruins of concrete structures are surrounded by wild nature. The Tract is now home to an eco-trail. You are welcome to walk the trail and re-visit the remains of military fortifications.